This recipe came out of a marathon baking day. Do you ever have those? Where you’re just inspired to get in the kitchen and mix up a bunch of batters to see what comes out of them? This cupcake recipe was one that just kind of came together at the end, after seeing what I did (and didn’t) have on hand. I realized I had an extra pint of strawberries hiding in the back of the fridge that I did not want to go bad, so I knew they had to be incorporated. 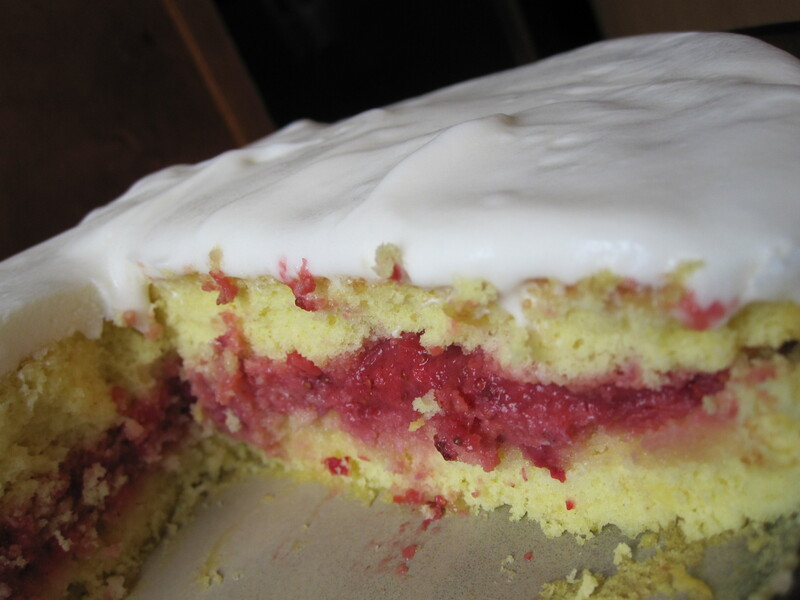 Using a boxed cake mix helped keep the preparation simple, since the strawberry filling took a little bit longer to prepare. The filling is a combination of a few different recipes I found online and turned out to be a great mixture. It’s not as thick as some other fillings, so perhaps adding some cornstarch would make the filling more stable (if that’s what you’re looking for). Otherwise, it worked perfect! The cupcakes turned out incredibly moist, which I find the applesauce tends to do. The tart, lemony flavor of the cupcake, combined with the subtly sweet strawberry flavor, was the perfect combination for the smooth, creamy sweet cream cheese frosting. This is sure to be a recipe you do not want to miss out on! Preheat oven to 350 degrees. Prepare cake mix & bake according to directions on box. Once cupcakes are cooled completely, use a knife to hollow out a 1-inch hole in each cupcake, preserving only the tops. 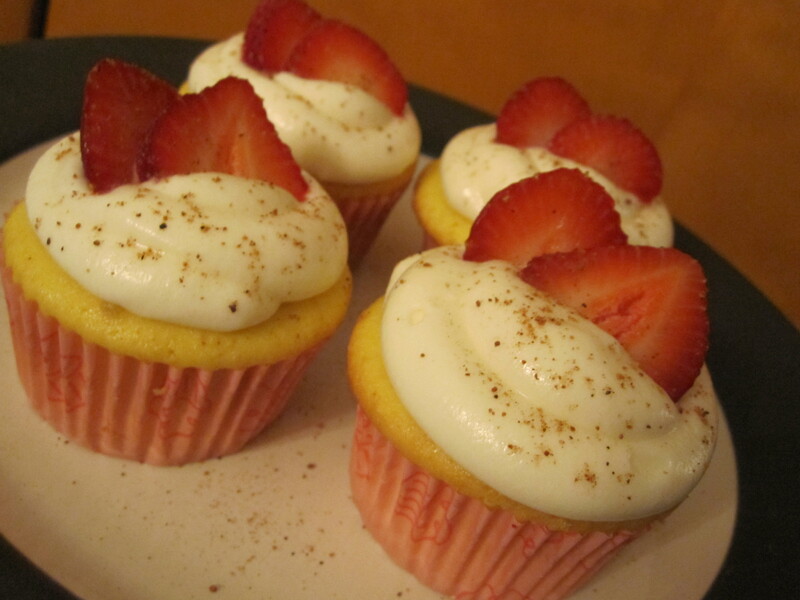 Fill cupcakes with strawberry filling and replace preserved tops back on filled cupcakes. 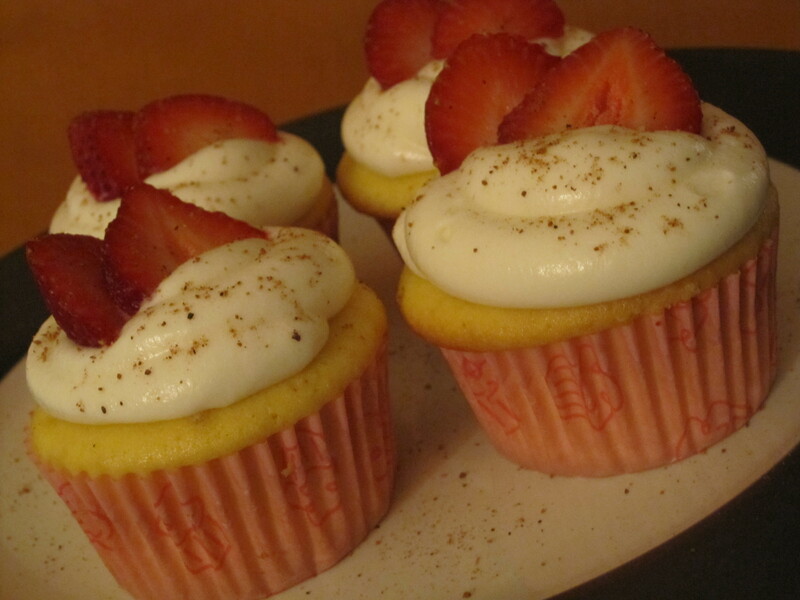 If desired, top with fresh sliced strawberries and a sprinkle of nutmeg. ENJOY! The strawberry filling I used here is super simple — throw the ripe strawberries and other ingredients in the food processor and you’re good to go! Puree half of the strawberries in a food processor with the honey, maple syrup, lemon juice, and vanilla until it is a smooth sauce. Add the remaining strawberries and pulse until chopped, but not liquefied. And who doesn’t love a cream cheese frosting? In medium bowl, beat cream cheese, butter, milk, and vanilla with electric mixer on low until smooth. Gradually beat in powdered sugar, one cup at a time, until desired consistency is achieved. When I was making my cupcakes, I decided I didn’t want to wait a whole baking cycle to make the 2nd half of the cupcakes. So instead, I took the other half of the batter, filled up a 9 inch round baking dish, and made a mini layer cake! I just sliced the one cake (very carefully!) 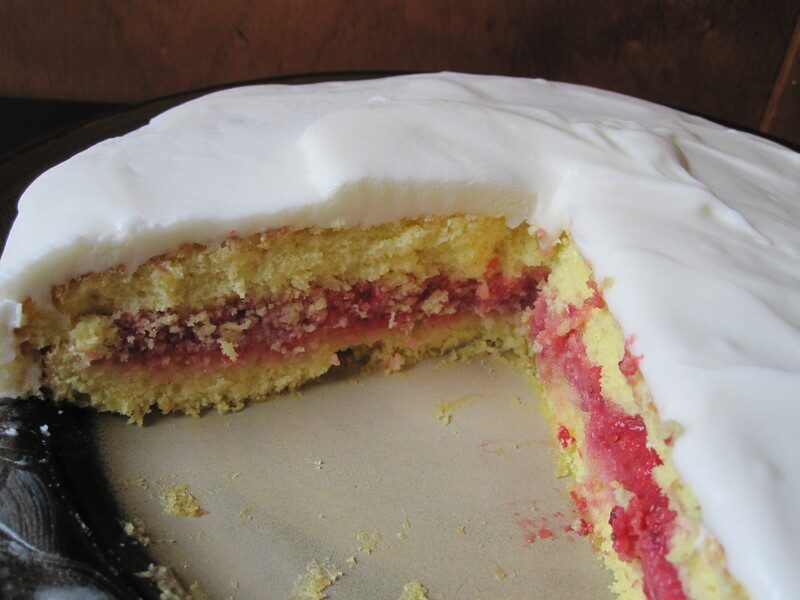 into two layers, spread the strawberry filling, and frosted it all with the remaining cream cheese frosting. It worked out perfectly! Have I gotten any of you in the mood to do some baking yet?!? Oooh, those cupcakes (and the cake!) look delicious! Okay, I'm onboard...lemon and strawberry...kill me now! Loves it! So pretty too! I don't think you have made me want to bake but you have made me want to eat!!! haha! Ohhhhh, these look SO good! 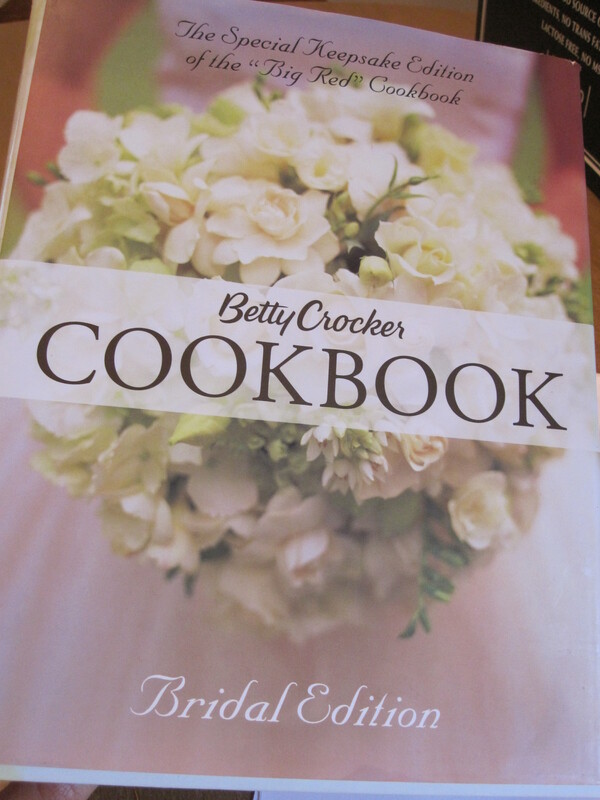 I also have that cookbook and I love it! Dude, these are BEAUTIFUL!!! Did you do the bag technique for the frosting? I love to bake but am the ugliest froster EVER. This must stop. Thank You! :) Yup, I sure did! It's probably the quickest, easiest way to do it if you don't have a pastry bag. 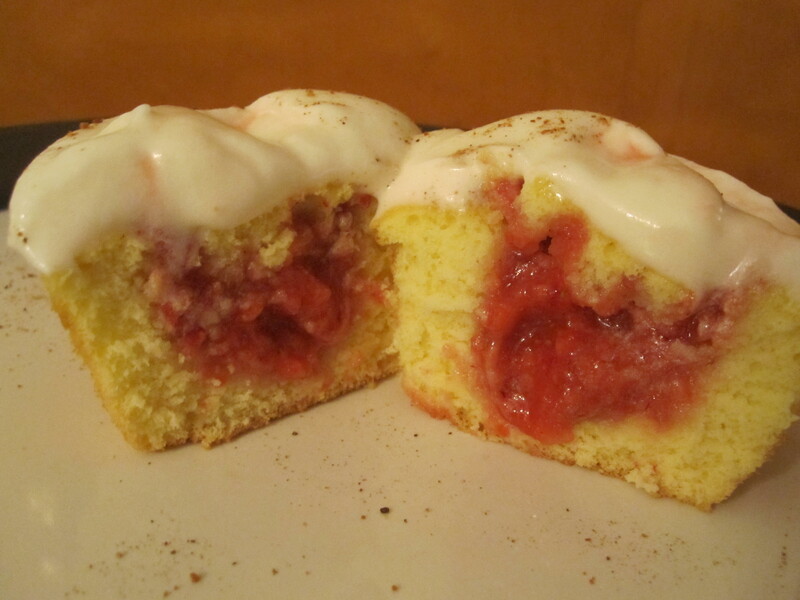 wow just saw the receipe for the lemon strawberry filled it made my mouth water so going to try that one, don't really care for the cream cheese frosting but with the strawberries and nutmeg may not be bad, thanks for the receipe. keep up the good work.. I have made these TWICE since this recipe posted! They're amazing! Thank you! I did this sandwich for dinner tonight. It was amazing! I sauteed the onions. Working on the cupcakes as we speak. I love your recipes. I have been looking for new healthy recipes and stumbled upon you blog. Keep them coming! so i made these the other day, they're amazing! so delicious! i gave some out to my co-workers and they ate them all up, i decided im going to try one of your recipes each week!